Home / Bone & Joint / Can 6,000 steps a day keep knee pain away? Walking 6,000 steps a day may help improve knee osteoarthritis (OA) and prevent disability, new research suggests. Nearly 27 million Americans aged 25 and older have been diagnosed with OA, according to the U.S. National Institutes of Health. The resulting joint pain and stiffness limits movement for 80 percent of sufferers, with 11 percent needing personal care assistance. Researchers tracked the number of steps taken over a week by nearly 2,000 adults who were at risk for knee OA or already had it. All used pedometers and were part of the Multicenter Osteoarthritis Study. Two years later, the researchers assessed the participants for any arthritis-related functional limitations. They found that 70 percent of those who averaged 6,000 or more steps per day reported no decrease in function. On the other hand, 70 percent of those who walked less than 6,000 steps experienced limitations. “Walking is an inexpensive activity and despite the common popular goal of walking 10,000 steps per day, our study finds only 6,000 steps are necessary to realize benefits,” White said. While walking is a common daily physical activity for many older adults, the Centers for Disease Control and Preventions reports that two-thirds of U.S. adults with arthritis walk less than 90 minutes each week (outside of routine activities). This is good to know no matter what age you are. It is always beneficial to take preventative steps! It’s great how something so simple as walking can really benefit you down the road. I’ll be taking my 6,000 steps this evening! 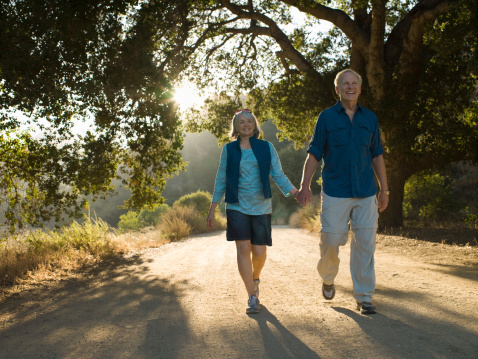 Walking has so many health benefits: Relieve joint stiffness, weight loss, maintain healthy bone density and more. The hardest part for many people is to just get started and walk out the door! I’m in complete support of this and would like to reference this study with my patients. Thanks. Walking has so many health benefits: Relieve joint stiffness, weight loss, maintain healthy bone density and more. The hardest part for many people is to just get started and walk out the door! Believe me I would be less busy as an orthopedist in San Diego if more people did this. I’m in complete support of this and would like to reference this study with my patients. Thanks. Exercise is good to the body even though it is painful sometimes.